Well I’m clearly a fussy cow. I haven’t done a Hall of Fame in 9 months. I’ve been using this for 3 days. Three days – and it’s in the Hall of Fame. I think that’s a bit of a world record. Even for me. Manufactured by Indeed Labs whose objective is to ‘eliminate all marketing hype and costs and deliver real results cost effectively’. Hyaluronic acid is found in the body and is responsible for maintaining a ‘reservoir of water’ in the top layers of the skin. We produce it ourselves but as we age our ability to do so decreases dramatically – one of the reasons we naturally lean towards dryer, baggier skin as we get older (how rude). Hyaluronic Acid is capable of absorbing up to 1000 times its weight in water. Basically it acts like a magnet to anything you put on top of it – so you apply this, put your moisturiser on – and it stays there – the water in your moisturiser takes longer to evaporate off the surface of the skin. It has a whole host of benefits throughout the body – but more importantly for me personally, a lack of hyaluronic acid in the skin leads to a slower healing time and a higher risk of bacteria on the surface of the skin – which for me, means acne. Acne that scars and won’t heal. It being sold exclusively at Boots – the ingredients are obviously not listed on their website – something I’ve complained bitterly about for a long time. As the print is fairly small I’ve re-typed below. I want a bigger size and I’d like my picture on the tube with a big thumbs up like a geek. Everyone should own this product. Everyone except pre-teens with that perfect baby bouncy skin. Judging from the comments in my Clinic alone, 95% of you are dehydrated at some point or another. Get one and keep it for when you need an extra boost. Post-partying, post-travel, post-illness, or all of them. Younger skins that are dehydrated through overuse of harsh foaming products, apricot kernels *god forbid*, partying, boozing, smoking, anything that puts stress on your skin – you need this in your emergency go-to stash. Skin starting to look a little drab on occasion? Makeup sinking into your skin? A little Hydraluron under your moisturiser will fix all that. I had a teeny tingle on the first use – lasted about 3 seconds and hasn’t been back since. You only need a little – it goes a long way. Use it where you feel dehydrated/dry/makeup usually fades the quickest – for me that’s cheeks, entire nose area, jawline and lower brow line. Texture – 5/5 – not sticky at all – which really surprised me. If it’s sticky – you’re using too much. 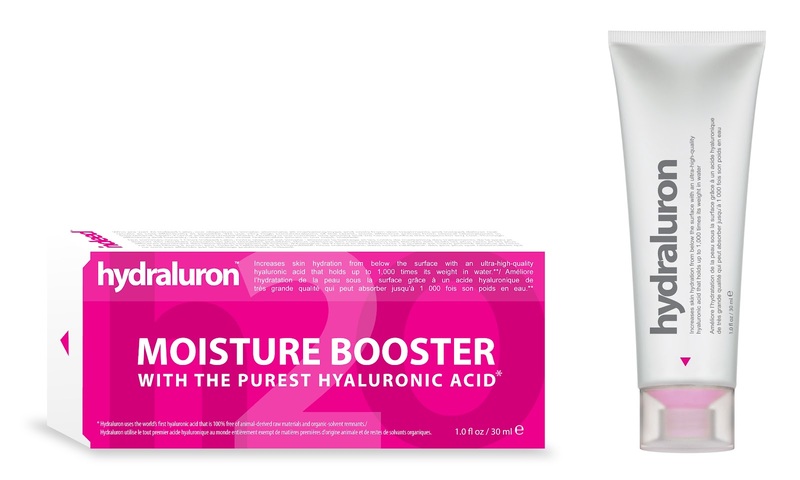 Hydraluron is £24.99 and is available from Boots. I’ve seen testers in store so you don’t have to take my word for it. Go smear it all over your face. Tell them I sent you. And while you’re at it – ask why they don’t list ingredients on their website please. Next Post A Live Clinic?